There is space for adding abrand logo and website URL. Hey chef, if you don’t have a logo or a website, contact Velan for brand identity services. 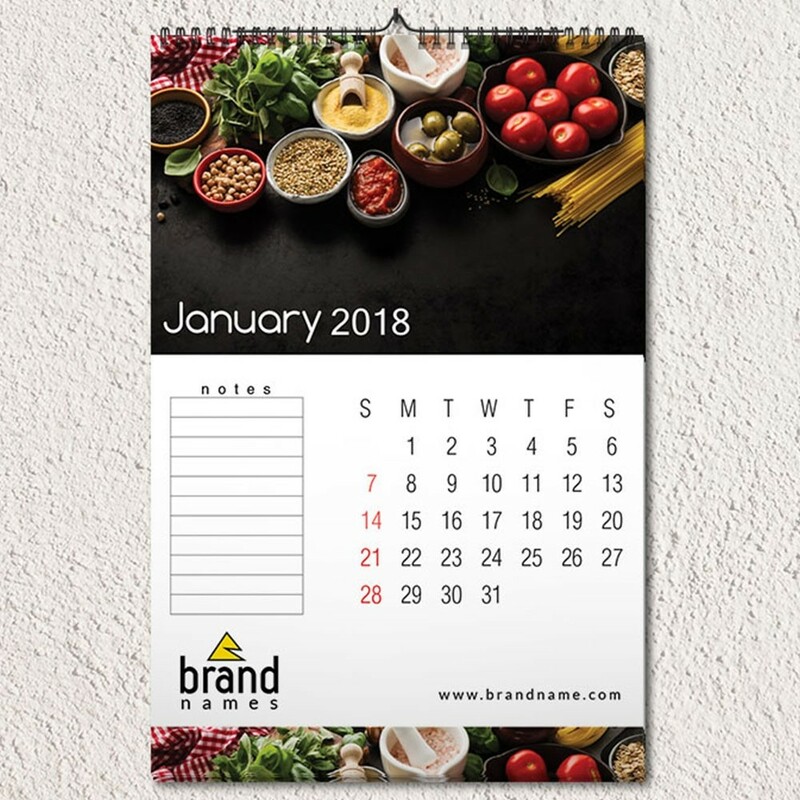 You’re the brand for your delectable food!Contact us for custom-designs on all 12 pages of this wall calendar and other creative calendar designs. Charges apply. Here’s some wall calendar design inspiration for foodies and food-oriented industries - asymphony of cooking ingredients to send pangs of hunger in the onlooker’s belly! A mix of puree, pasta, ripe tomatoes, fresh herbs, and olives with a mortar and pestle in the backdrop, is a perfect calendar for a chef’s room wall or for business gifting.